A couple of years ago, I went up to Canada to visit my family. While I was there, I had the brilliant idea that I would get someone there a Roku for Christmas and create a profile for them on my own Netflix account (my plan allows two screens to stream at the same time). I knew they wouldn’t be interested in paying for the service over and above their cable service until they saw the extra value it provided, but if they liked it would then be able to get their own account. Unfortunately, after looking into how it would work, I ran into more issues than I expected and dropped the idea. I then wrote a post for T4L about that specific experience hoping it would help others. Since then, however, I’ve done some more research about how you can use streaming players anywhere outside of your home country, so I’m updating the post to include that information. It’s divided into two sections, the first about where you can buy and use the devices themselves and the second about what content you can access abroad. 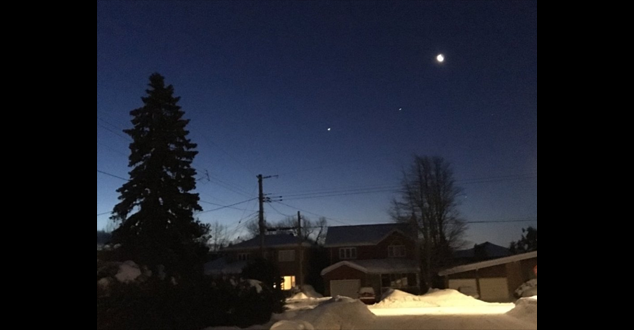 NOTE: This post will discuss general concepts, some of which I’ve tested out in Canada, but I can’t guarantee what the situation will be everywhere. For this post, I’m just going to discuss the Big Four of streaming players: Amazon Fire TV, Roku, Apple TV, and Google Chromecast. Amazon only sells the Fire TV and Fire TV stick from their U.S., U.K., and Germany sites and they won’t ship them to other countries. However, I was able to take my Fire TV Stick from the U.S. and use it in Canada. I was also able to reset it to factory settings and set it up from there. 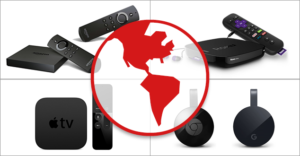 Roku sells their players in multiple countries, although the available models vary from country to country. I was able to use my U.S. Roku streaming stick in Canada and set it up again from there as well. You can also purchase the Apple TV in multiple countries and, again, I could use and reset my U.S. one in Canada. This was the only player where I could not use my U.S. one in Canada. I got some kind of error message about not being able to work with the wireless network. So I did have to buy a new one in Canada, which then worked fine. It’s also available in other countries. But this also means you may not be able to travel internationally with a Chromecast you bought at home, unlike the other players. Once you’ve got a working player, you’ll find the content options available to you are different from country to country depending on the streaming rights they’ve negotiated with movie and TV show distributors. For example, the Netflix catalog isn’t exactly the same in the U.S., Canada, and the U.K.; you can rent and buy Amazon videos in Canada but you can’t watch the free Prime videos; and Hulu, HBO NOW, and many other providers are U.S. only altogether. NOTE: Because content options are different everywhere and frequently changing, your best bet to find out what’s available in any country is to go to websites for the various player manufacturers and content providers. The way they restrict your options is by identifying the IP address of the Wi-Fi network your player is connected to, which is tied to a specific country. So that gives you two options: Enjoy the content that’s available or make the player think you’re in country with the content you want. Enter VPNs. NOTE: T4L reader Scott has pointed out that another limiting factor is the country of the credit card you’re using to pay for content. He’s right that I was using an American card in Canada to order Amazon content. Check out his comment which includes a couple of suggestions for how to deal with this issue. If you have any other ideas, please add them as well. Thanks for sharing that info, Scott! VPN stands for Virtual Private Network, a series of servers in different locations around the world. When you buy VPN software, you can log into one of those servers and when a website checks your IP address, it thinks you’re coming from the country where that server is located instead of from your own Wi-Fi network. 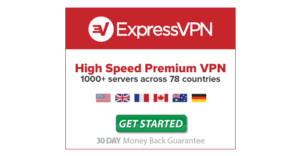 I use ExpressVPN and it’s worked well for me. Here’s how you use a VPN with the Big Four players. NOTE: Some content providers have technologies that let them recognize when a VPN is being used and will still block you. However, some server locations in the PPN network may still work for some of these providers. So if you run into this situation, your best bet is to contact the Support team for the VPN company to see if they can recommend a particular server to connect to for your specific situation. Neither of these players have settings you can change to directly connect to a VPN. So the way to change its network’s IP address is to connect to the Internet using a hotspot from your VPN-connected mobile device or computer. To create a hotspot from your computer (also referred to as a virtual router), depending on your PC’s network adapter you may be able to do this through Command Prompt. The following posts from ExpressVPN provide step-by-step instructions for doing this. 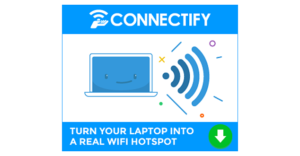 This doesn’t work on my current laptop, so I have another piece of software called Connectify that creates the hotspot for me. Whichever method you use, you’ll log into the VPN from your phone, tablet or computer and then set up the hotspot to share its connection with other devices. Once that’s done, go to the Network Settings for your Fire TV or Roku and connect to it. Now when a streaming content provider checks your IP address, it will think you’re in the country of the VPN server you’re connected to. The Apple TV actually lets you change one of its network settings to connect directly to your VPN without going through your computer. Your VPN provider should give you the instructions for what changes you need to make. Another option is to install the VPN software on your iPhone or iPad, connect to the VPN server, and then use the AirPlay feature to cast videos from your phone or tablet to your Apple TV. And if neither of those options work for you, you should still be able to use the hotspot method described above for the Fire TV and Roku. With the Chromecast, all you need to do is install the VPN software and sign into the server you want on the phone or tablet you normally use to cast to the player. The VPN server’s IP address will then be used to determine your location. Do you have any other tips for using streaming media players outside of your home country? Share them in the comments below!